This past week I bought our first pumpkin of the season from HEB (my favorite grocery store!). I wanted to place it by our front door as part of the fall decor, but decided to try writing on it first. 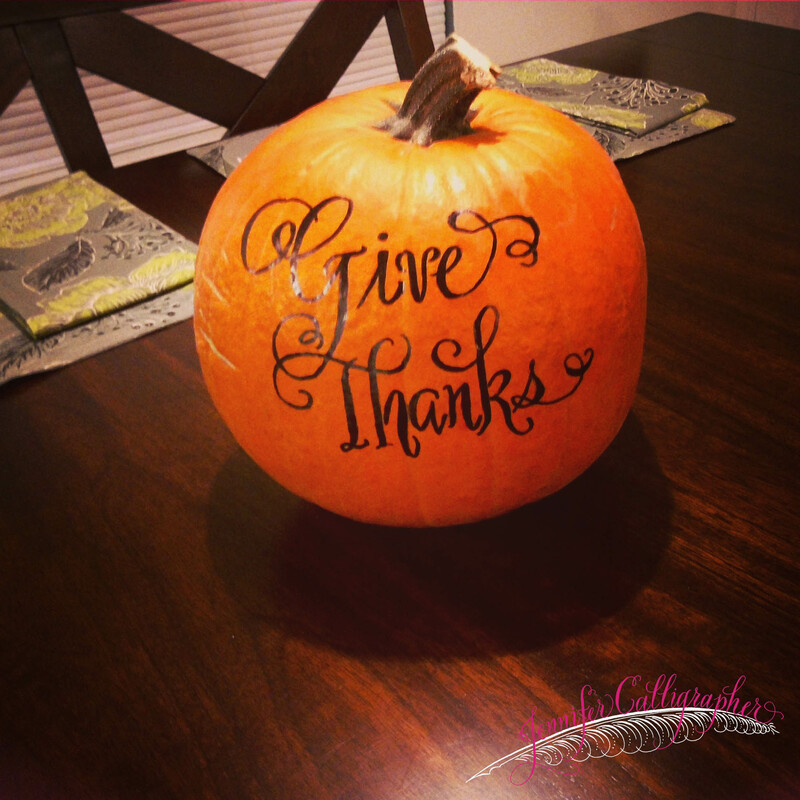 I used a thin pen to sketch out “Give Thanks” – this comes off easily with a dab of alcohol. I went over my lettering with a thick Sharpie marker, shading the lettering to make it look more artistic.